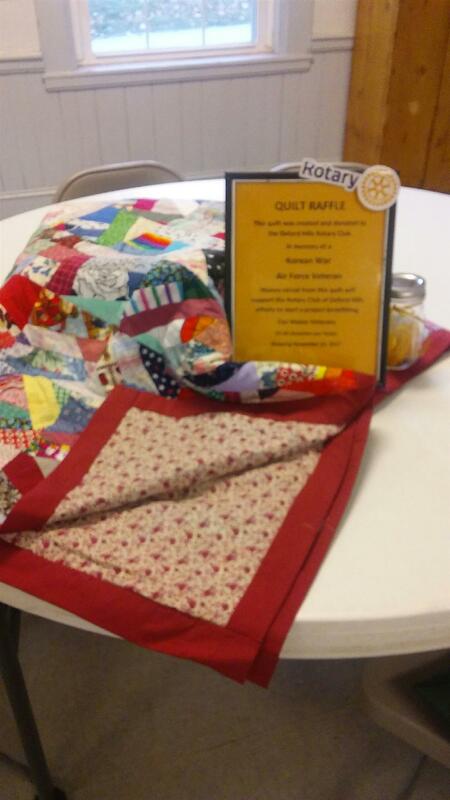 Quilt Raffle! This quilt was created and donated to the Oxford Hills Rotary Club in memory of a Korean War Air Force Veteran. It is a handmade patchwork quilt, 60" x 80" (queen size). Money raised from this quilt will support our Club's efforts to start a project benefitting our Maine Veterans. $5.00 donation per ticket, drawing to be held November 11, 2017. If interested in supporting our Veterans, please call Beth Abbott 207-461-2334 or Patty Rice 207-743-2285. Thank you for your support!